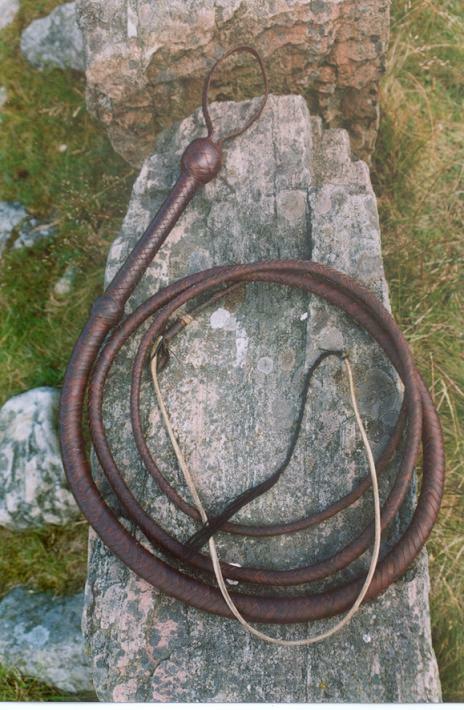 The original whips (there where used several in multiple lenghts during each movie) was made by whipmaker David Morgan. 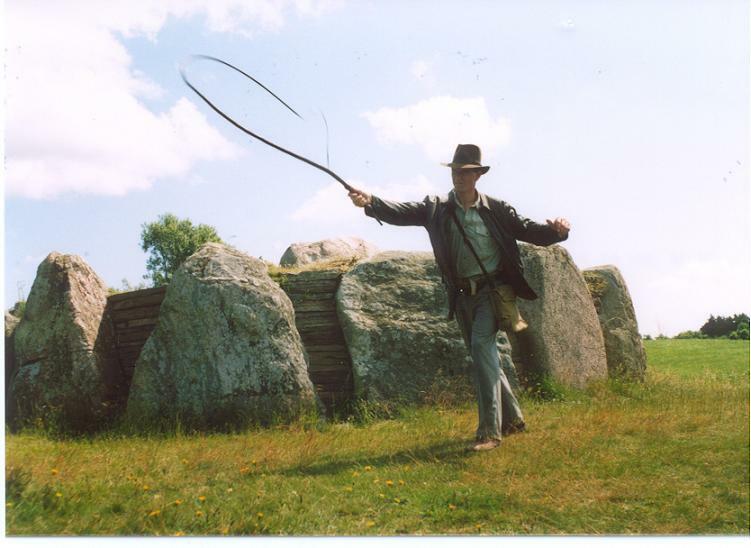 The design for Indiana Jones speaks of a 10 ft. bullwhip, and eventhough other lenghts was used in the movies, the "originally" lenght is a 10 ft. (apx. 3,05meter). 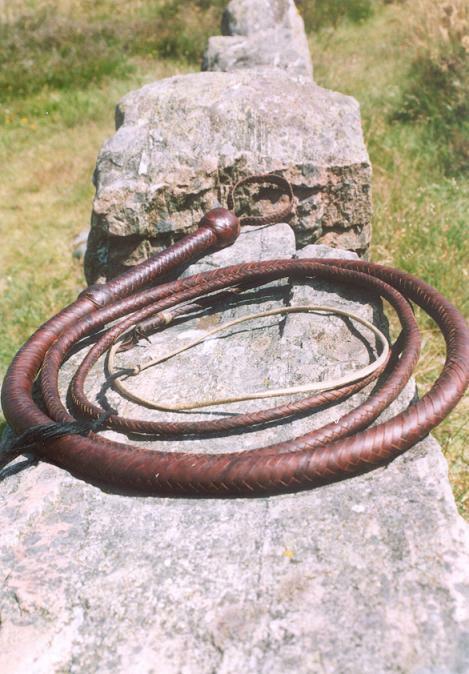 There shall be no doubt - David Morgan whips are state of the art, but also very expencive. They charge around $73pr. ft., where other vendors charge around $35 pr. ft. So unless You are very keen in having the closest thing to the original, there are other fine whipmakers. They are not as known as David Morgan, but their work is very close to, if not as good, as David Morgans. I scanned the marked and my selection fell on the Tasmanian whipmaker Bernie Wojcicki . He has very reasonable prices, 30 years of experience, and is highly spoken of among whipchackers. And besides all that - he is a very pleasent man to talk to and doing business with! It´s very easy to make a whipholder. 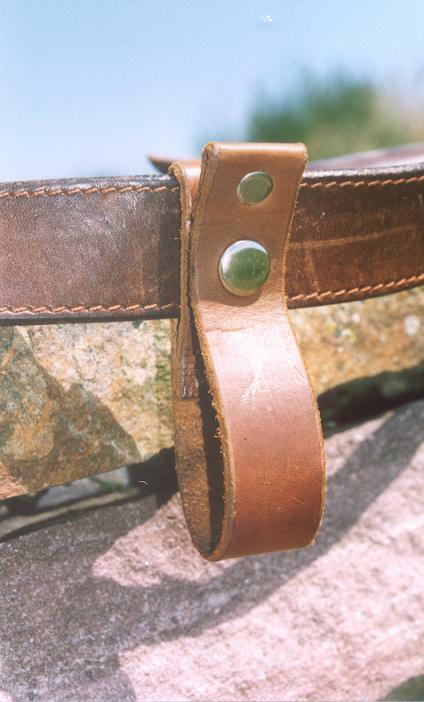 A strap of leather, a needle, one rivet, a pressbuttom and a hammer - that´s it!